We have seen many changes in the Charlotte construction market over the past 47 years and even more with the Great Recession. We have witnessed moves to offshore manufacturing jobs and we are now seeing them re-shored. We have also seen foreign companies establish new manufacturing facilities to be closer to their markets. The recent surge in United States manufacturing can be credited to a reduction in the gap between wages of United States manufacturing workers and their foreign counterparts and technological advances that have increased productivity so that the actual wage cost attributed to a manufactured product is a smaller component of the total cost. This along with the added transportation costs and the ability to monitor, manage, and correct manufacturing problems easier make it more profitable to work in the United States or North America. S. C. Hondros & Associates, Inc. has benefited from this trend with the recent expansions of 3i Products from China in Lancaster, SC, KACO from Germany and HYDAC from Germany both in Lincoln County, NC, and Orange Bakery from Japan in Huntersville, NC. Another big change is the explosion of the multi-family residential market in Charlotte. 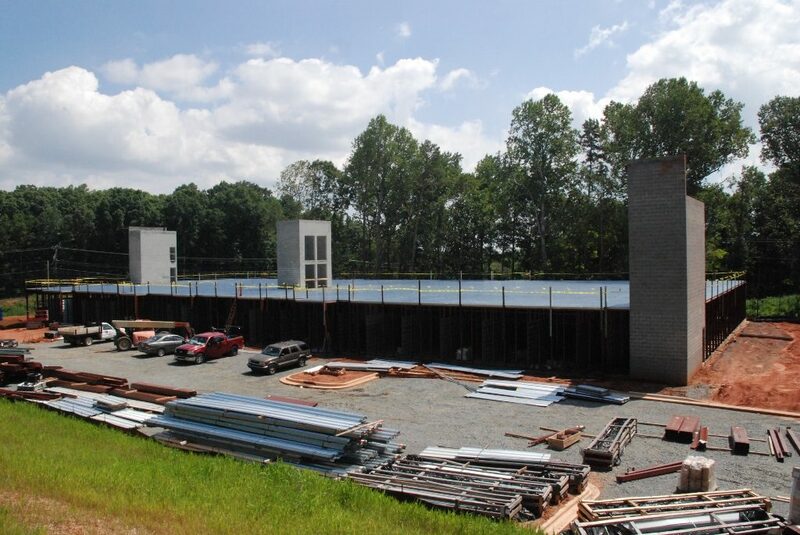 Although not building directly for the apartment market, we now have our second, multi-story, climate controlled storage facility in the University area well underway (photo below).